The Untold Story of The Fighter Pilot Who Almost Became the 1st Indian in Space! This is the lesser known story of Air Commodore (Retd) Ravish Malhotra, recipient of the Kirti Chakra. 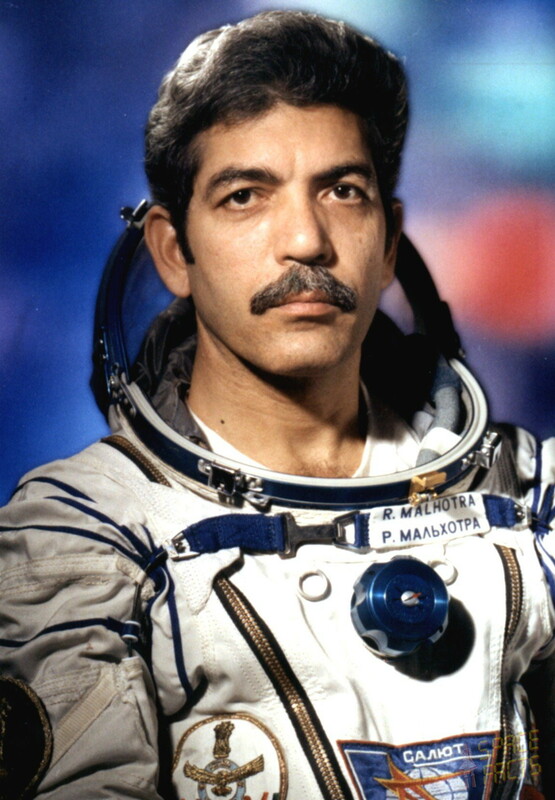 The man who almost became the first Indian in space. On April 2, 1984, Retired Wing Commander and Ashoka Chakra recipient Rakesh Sharma flew aboard Soyuz T-11, as part of the Intercosmos Programme, making him the first Indian citizen to travel to space. And so, every time someone asks us who was the first Indian in space? The name on the tip of all of our tongues is wing commander Rakesh Sharma. But do you know the man who was the backup astronaut for the same space mission in 1984? A renowned name in the air force community, growing up, Ravish wanted to serve in the navy. But fate had different plans for the young boy. He reveals how, during the selection, when he wanted to join the navy, he was told that his eyesight was not good enough for the navy, but for the air force. “They were running short of air force cadets. So, I said alright, and that’s how I joined the air force and the fighter stream,” he told the publication. The man fought in the 1971 Indo-Pak war as a fighter pilot and escaped a close shave with death. They were attacking tanks in the Chamb-Jaurian sector in West Pakistan when his plane received heavy anti-aircraft gunfire. “In the cockpit, you hear a lot of thud thud thud. But I was lucky that nothing came through,” he told the Quint. It wasn’t until the war ended that he was offered the golden opportunity to travel into space. The then government decided to send pilots to Russia for training for this. The main criteria for selection was a fit fighter pilot. Ravish and Rakesh were among the four pilots who were shortlisted from a pool of 20 to go to Russia for the training. Once they had conducted medical tests in Russia, the duo was selected for the mission. There, they were trained for two years and also taught Russian. This was because everything ranging from the instrumentation to markings on the spacecraft was in the language. The duo was also trained in undertaking several missions in space. This included testing the effects of yoga in space. When they had completed half the training, the decision was made. Rakesh Sharma would be in the main team and Ravish Malhotra in the backup. “I was disappointed, but you accept it and move on with the mission,” he said with a sigh. The mission was a success, making Rakesh Sharma the first Indian man in space. When the men returned, they received a grand welcome for being aboard the historic space mission. They travelled across the length and breadth of the country interacting with people. And as we continue to pay tribute to heroes who become trailblazers, let’s not forget the lesser-known ones among them who were one step away from achieving those feats. The contribution of these behind-the-curtain heroes is just as much. So let’s give them the limelight they deserve.